Now showing at the Strand: movies in a beautifully refurbished setting. 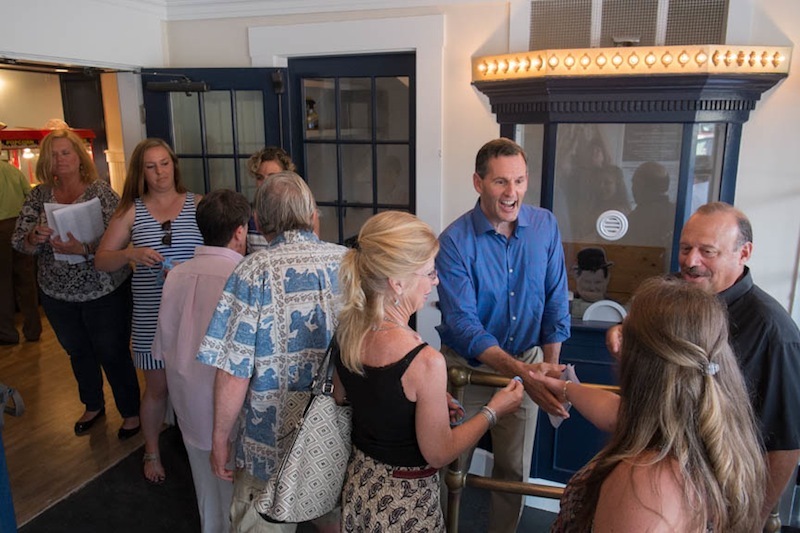 Richard Paradise strolled through the new lobby of the Strand Theatre in Oak Bluffs Friday night as the doors opened for the first time since 2011. Saturday night marks the official public opening of the Strand, the culmination of months of hard work and hundreds of thousands of dollars in donations. But Friday night’s invitation-only event was a chance to celebrate the opening of an old Vineyard institution with the supporters who made it possible. 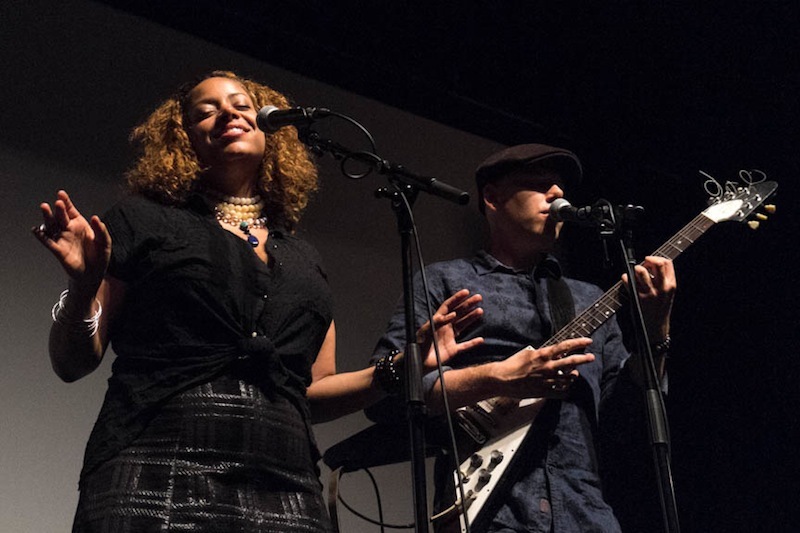 The musical blues duo Dwight and Nicole opened the evening with a set of songs after a brief introduction by Mr. Paradise. Fittingly, Dwight and Nicole began with a rendition of Smile, composed by Charlie Chaplin with lyrics written by John Turner and Geoffrey Parsons after its use in the Chaplin film Modern Times. It was the first ever performance on the theatre’s new live entertainment stage, which will be available for future live events. The Strand came of age in the era of silent films and was originally built in 1915. That meant plenty of updating would be needed when Edgartown businessman Mark Snider founded the Martha’s Vineyard Theater Foundation a few short months ago with the ambitious plan to raise $1 million to renovate and reopen the Strand in Oak Bluffs and the Capawock in Vineyard Haven. Mr. Snider has signed a long-tern lease with the Hall family, which owns both theatres, to keep them going for the next 20 years. Mr. Paradise will operate them. The Capawock had its grand reopening on May 29. Fundraising for the project is ongoing. At the Strand, floors and seats were ripped out, new wooden floors put in and the number of seats reduced to increase legroom. Even the bathrooms had to be completely remodeled for cleanliness and comfort. Mr. Snider joked in opening remarks that he would like to tell everyone to use them if it weren’t for the sewer bill. The Strand has also been digitally equipped with surround sound abilities and a hearing impaired system that allows those needing hearing aids to “link in” with the sound system. But as Mr. Snider was quick to point out, all of the renovations were done with great care to maintain the historic nature of building. Walls were adorned with classic films from Viva Las Vegas to Indiana Jones, a tribute of sorts to the Vineyard residents who had first seen these iconic films from theatre seats at the Strand or the Capawock, Mr. Snider said. Skip Finley, director of sales and marketing for the Vineyard Gazette Media Group and a longtime Oak Bluffs resident, also made remarks, noting the diversity of the crowd gathered from town selectmen to unnamed celebrities. (Meg Ryan, a seasonal resident of Chappaquiddick, was tucked unobtrusively in a mid-theatre seat). Pointing out that the night was the 200th anniversary of the Battle of Waterloo, Mr. Snider, who is a history buff, had a word to say about meaningful struggles. Then, fortified by popcorn and candy (all on sale for a dollar), the audience settled in for the night’s feature entertainment, the newly-released Pixar film Inside Out. The preview trailers were three vignettes done in a newsreel style about life on the Vineyard dating to the Strand’s opening heyday in the early 20th century. 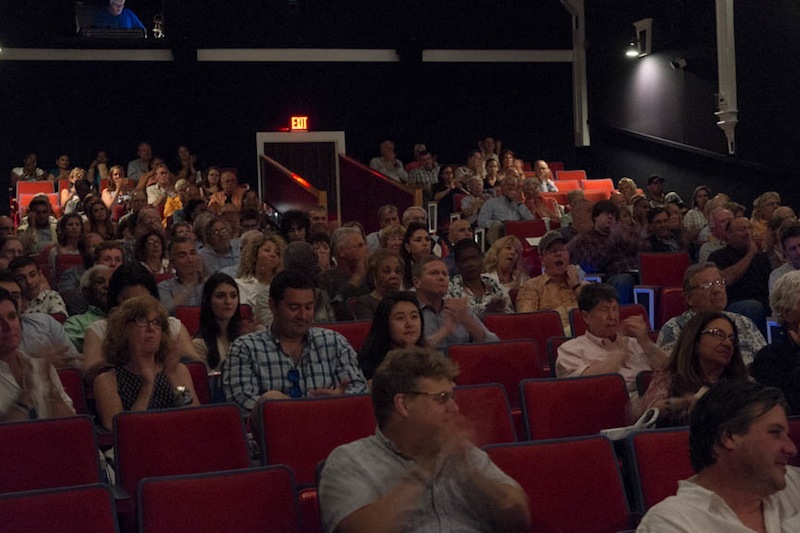 Produced by Historic Movies of Martha’s Vineyard, a Gazette project that reclaims old films shot on the Island, the shorts will play before each show at the Capawock and the Strand, giving the audience a small sense of life on the Island back before the bathroom remodeling. At the end of the night, the crowd filed out of the theatre, chatting amiably and shaking hands with Mr. Paradise and Mr. Snider. Much of the chatter was centered around thank-yous and commendations. One person told Mr. Snider how glad he was for the community to have the theatres back. “So am I,” Mr. Snider replied. We have been vacationing in Oak Bluffs for the past thirty years and loving it as our own. I have but one question seemingly not addressed in this wonderful article, did Mr. Snider go the extra mile and install climate control in the "Strand Theatre" or is it still going to be an oven in which to bake during the month of July? 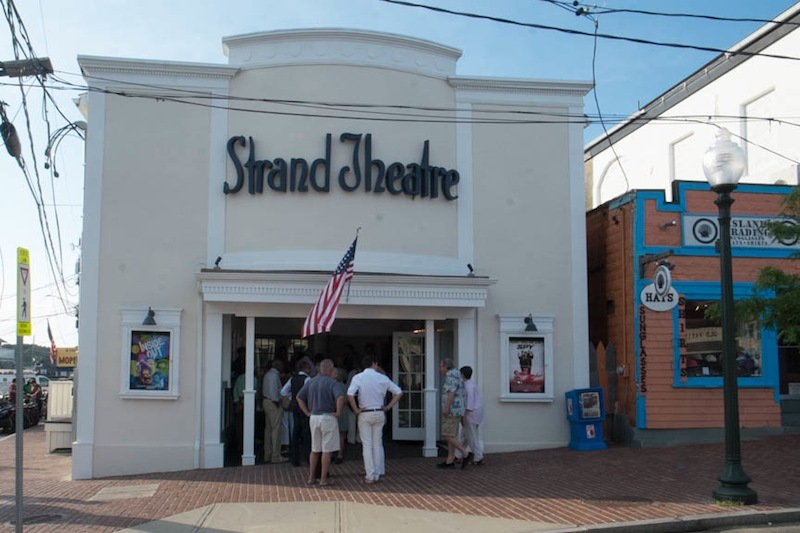 The Strand and Capawock Theatres are now both fully air-conditioned and heated so they are comfortable in all types of weather. Please come and visit. We look forward to your enjoying these wonderful island institutions once again! I do not enjoy going to the off-island theaters. Growing up with these theaters I was so happy to read they are open again. This is my treat when I visit the island. Best of luck for a triving business for you. Let's all , Go down the Strand, have a banana ... Let's all , Go down the Strand.... Yet another 100 year old tradition from English Music Hall. ...and a jolly fine place it is. Thanks to all.